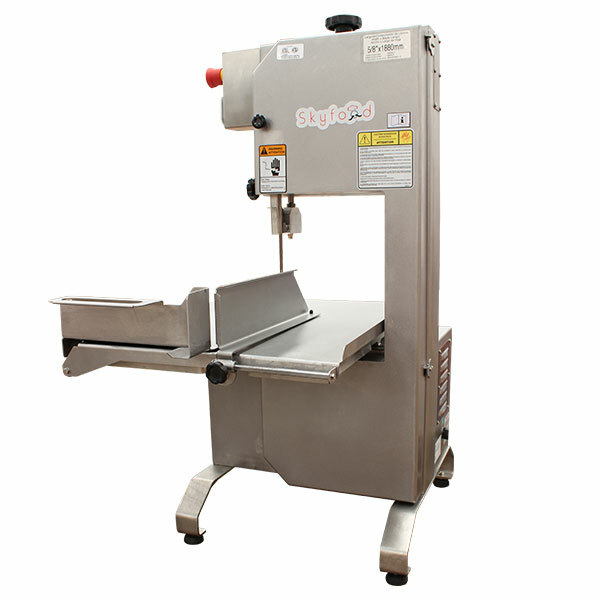 Cut Height x Width: 6-7/8" x 8-1/4"
Table Top Meat and Bone Saws are designed for mid sized Butcher Shops, Grocery Stores and Restaurants. The model MSKLE is all stainless steel. This model can handle all types of meats and bones. Ideal for those establishments with limited space but requiring a saw capable of cutting all types of products. This sturdy compact units come standard with movable feeding table and thickness gauge plate to help ease the operation.